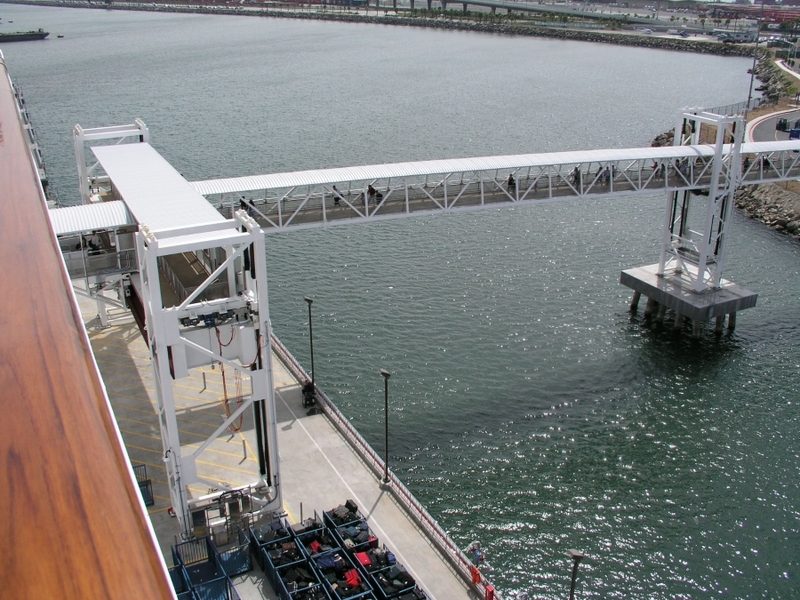 Long Beach Cruise Terminal | Jesse Co.
Design, build, fabricate and install a Passenger Gangway Boarding System for Carnival Cruise Line’s Long Beach Terminal. 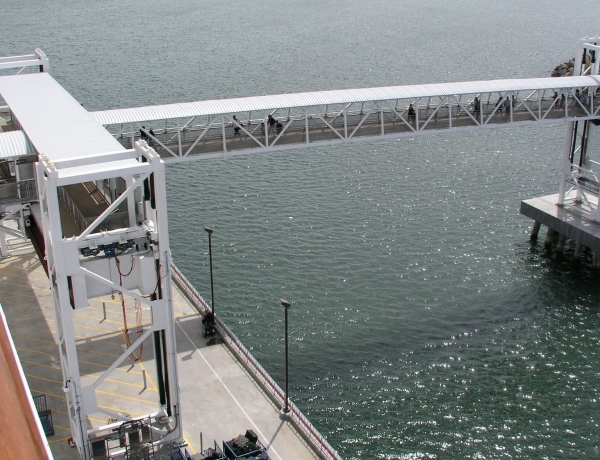 Included computer controlled lift system and passenger trolley to automatically adjust passenger gangway elevation for changing tides and to allow passenger and crew access to any number of doors on varying cruise ships. Project featured extensive electrical and mechanical assembly by Jesse personnel.